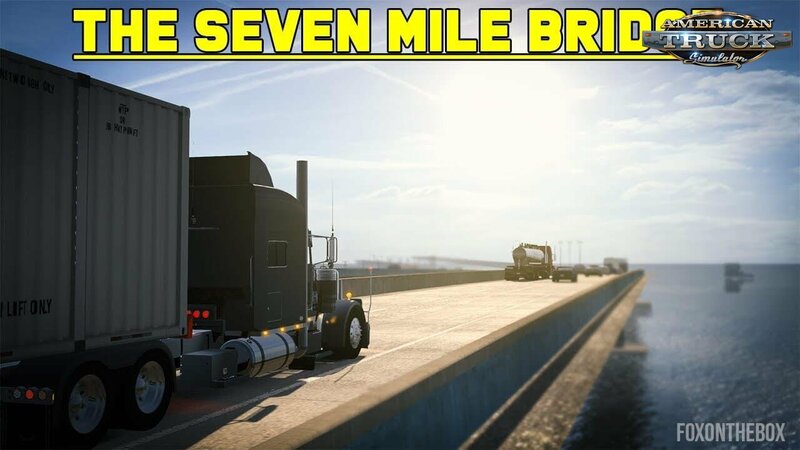 Gameplay video with The Seven Mile Bridge | Key West → Naples for American Truck Simulator game. The Seven Mile Bridge is a bridge in the Florida Keys, in Monroe County, Florida, United States. It connects Knight's Key (part of the city of Marathon, Florida) in the Middle Keys to Little Duck Key in the Lower Keys. Among the longest bridges in existence when it was built, it is part of the Overseas Highway in the Keys, which is part of the 2,369-mile U.S. Route 1.